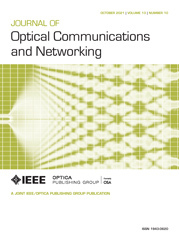 The Core Optical Networks (CORONET) program addresses the development of architectures, protocols, and network control and management to support the future advanced requirements of both commercial and government networks, with a focus on highly dynamic and highly resilient multi-terabit core networks. CORONET encompasses a global network supporting a combination of IP and wavelength services. Satisfying the aggressive requirements of the program required a comprehensive approach addressing connection setup, restoration, quality of service, network design, and nodal architecture. This paper addresses the major innovations developed in Phase 1 of the program by the team led by Telcordia and AT&T. The ultimate goal is to transfer the technology to commercial and government networks for deployment in the next few years.